I started my journey into flower farming four years ago after spending years feeling unhappy in my previous job. 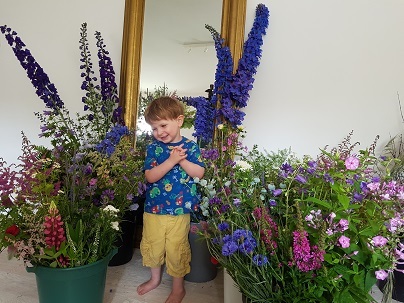 After my second child was born I decided it was time to do something about my work life and through family members I found out that flower farming on a small scale existed in this country – it was not something I had ever previously heard of. All my life I have loved gardening, being one of those people with lights in the greenhouse, enabling me to carry on working on my hobby during the night. 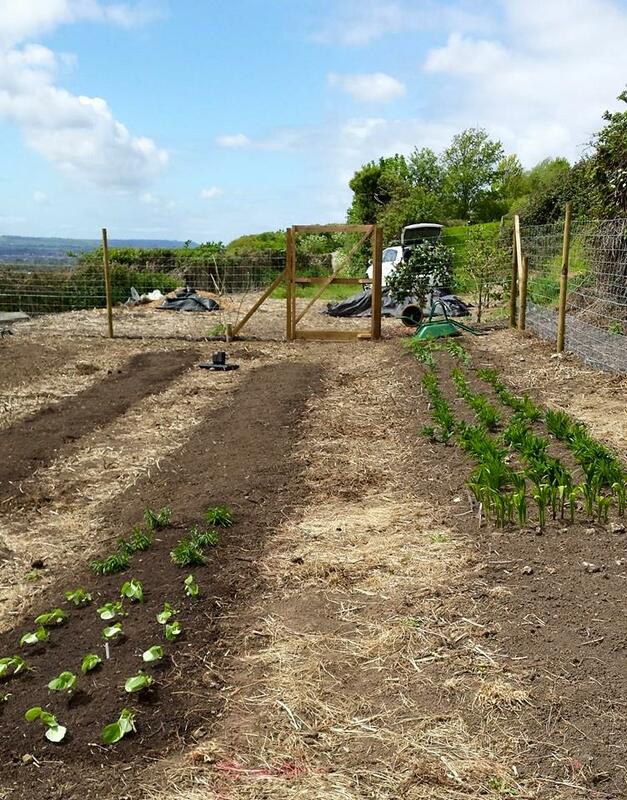 Flower farming seemed like something I could do and would enjoy; with that in mind I booked myself onto a workshop for beginners and I haven’t looked back. That workshop started the ball rolling for me and I now run a successful flower farm. I won’t lie this is hard work but I now love what I do and I feel proud to be showing my children that you can make a living out for doing something you love rather than just living for the weekends. 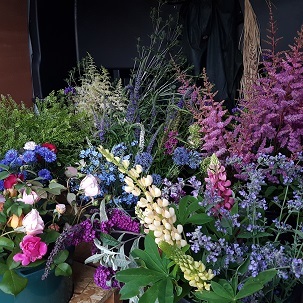 Pipley Flowers took off rather quickly; I run another business which I started in 2005, and have a strong sales background - these experiences have helped me in my current venture and enabled me to help others on my previous Flower Farming workshops. 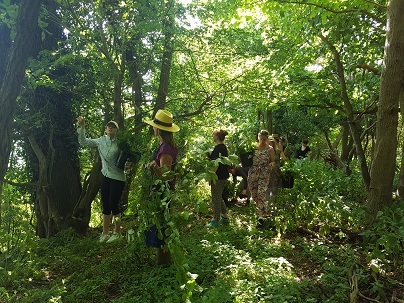 On my past workshops I have had people come along to find out how to start a flower farm and others have already started but wanted to see other ways of doing things. I have also helped trading florists who would like to supplement their bought in flowers with some they have grown themselves. My next Flower Farming for beginners workshop is coming up on the 10th of February. There is still one place available for someone who would like to make a change or add value to what they do now….could that be you? We had a hard frost on the 28th of October this year and when I checked the flowers the next morning, as suspected they were looking rather black and unhappy. Since then lots of people have asked what I do now - some realise that the work doesn’t stop just because the flowers are gone but others think I’m starting a 5 month holiday. There are plenty of jobs that can be done over the Winter, many of which I don’t have the time to do during the peak season, but some have a certain urgency about them. At Pipley we have lots and lots of dahlias (far too many to lift!) so I choose to leave mine in place over Winter. One of my most important jobs now is to cut back all the dahlias and give them a good mulch to protect them from the cold - this has to be done before the temperature drops too low and it’s not a quick job. One of the other jobs I have is planting any new bulbs and corms so I have lots of lovely flowers in Spring. I planted my anemone yesterday and I still have tulips and ranunculus to finish off. The quicker I get some of these in, the quicker my season will start next year….or that’s the plan unless I am thwarted in some way by the weather. So as you read this I may be working out in the rain, chopping back, wheel-barrowing, or on my hands and knees in the mud trying to get these jobs done before I miss my window. Then comes the rest of the list but I can always breathe a sigh of relief when the dahlias and bulbs are all sorted. If you have thought about flower farming and would like to learn more about what’s involved I run workshops for beginners or those thinking of a career change. The next one is on Sunday 10th of February and you can find the details on my workshops page. Following a recent Facebook post which touched on scented flowers I thought it would be nice to share some of my favourite spring scented flowers with you. These dainty little white bells have a fantastic scent! They are one of my earlier spring flowers and Mine tend to flower in early April. They have a strong scent for their size at only around 15cm in height and they are happiest grown in partial shade. You can also get Lily of the Valley in a light pink colour but these are more uncommon. As a cut flower they are great for little posies, buttonholes and bouquets. Narcissi just make me smile. I find them somewhat irresistible with their happy little faces and gorgeous scent. They are easy to grow from bulbs, and work well in the house as a cut flower or planted in a pot. If planted in pots indoor just plant them out somewhere in the garden after they have finished flowering and they will return year on year. Narcissi are great for naturalising in grass too so everyone should be able to find space for some. Although they smell delicious they do need a regular stem cut and water change if used as a cut flower or they can become a bit whiffy! Love, love, love these! I don’t tend to use them much for cutting (hence no images) as the stems are quite short and with the flowers being so large they can be tricky to incorporate into displays, but bring planted bulbs into your house to make the place smell amazing! After they have flowered you can plant them out in pots or beds for them to return year on year. Did you know that tulips have scent? I must confess I didn’t really believe this until last year when I grew some amazing scented ones. I had head of scented tulips but had never smelt any that I actually liked or that had a string perfume. My favourite ones last year smelt of caramel - the variety escapes me for now but keep an eye on my social media because they will get a shout out when they are back this year! What are your favourite scented flowers for Spring? If you find your garden looking a bit sad around this time of year then Hellebores are a great way to add a bit of drama. I love the variety available and once you plant some out they will self seed and bulk out over time. Hellebore flowers tend to face the floor and they remind me a little of bells when you see them. If you look more closely some of them are extremely intricate and they can have beautiful patterns of purple spots inside. Hellebores are commonly white or pinky purple but you can also get green, yellow and very deep purple like the one pictured below. If you have different colours they will hybridise within the garden and I'm always excited to see what the flowers will be like on a self seeded plant. The other big bonus with hellebores is that they do well in damp, shady areas where many flowers and plants won't survive. 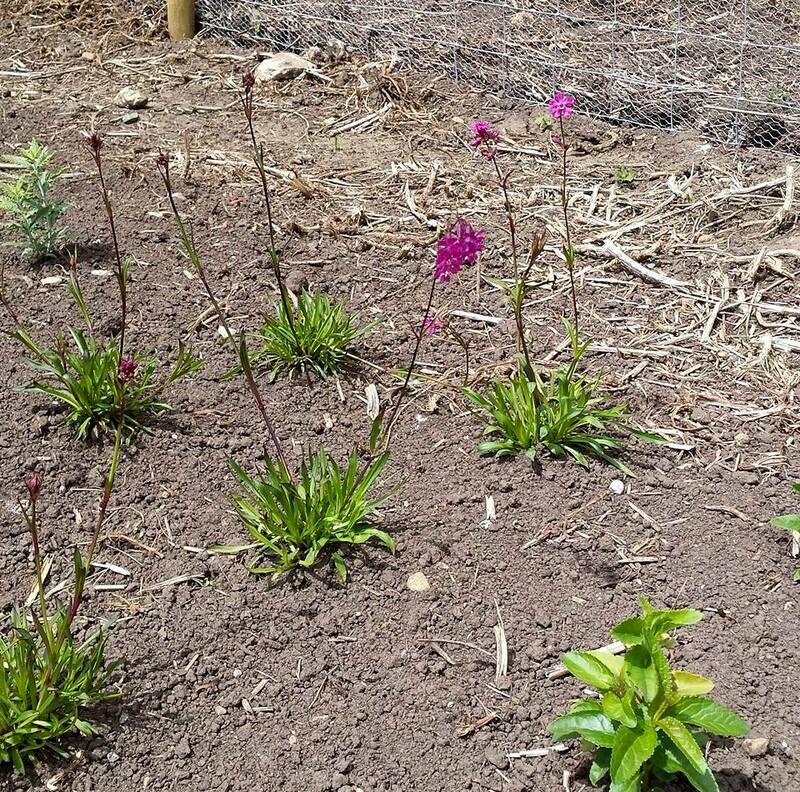 The ones pictured here are all planted under trees and they are very happy. They are very easy to grow and although you may find the odd flower nibbled by a slug or snail, in general they are rarely affected by pests. Bearing all that in mind I think this is a flower that many people could benefit from in their garden. What are your favourite flowers at this time of year? Ok I accept I may have gone slightly mad with my tulip ordering this year! It's funny as I know this is a lovely image but I thought twice about blogging about it as when I look at this I see money down the drain and stock I haven't sold so it's something to beat myself up over. Basically this says to me that I'm doing a rubbish job... It's a difficult balance as the weather has caught me out a bit this year with the tulips, causing them to come early and fast - that and the fact that they all started literally a day or two after mother's day when no one is interested in buying flowers as they have them already. The afternoon before mothers day I had 3 tulips and a week later I had hundreds if not thousands of them. mid-sentence to pull up a … is that a thistle…? about land use and how to encourage a healthy balance of wildlife. boiling the camping kettle on the Tranja stove became one of my favourite things to do. of tea while the resident robins hopped about was a real highlight for me! Flowers is a haven for flower enthusiasts everywhere! helping me to realise my potential and to chase my dreams of working in nature. Here’s to years of friendship and flowers! So what's been going on at the flower farm? In brief all the beds are now prepared and rotavated. I have planted some new perennials and shrubs. The shrubs are strategically placed to act as windbreaks but obviously they will need to establish a bit before they work their magic. This week the first flowers started to appear but I think I have 6 on the plot so not quite ready to start selling to florists yet! I do however have a well stocked garden that I am using to make arrangements in the meantime and there are too many flowers to mention right now. So things are looking pretty good at the moment. The bare root roses planted last month are bushing out nicely and even some of the newer plants have put on good growth in just a week or so. The dahlias and peonies are starting to appear so hopefully soon the empty looking beds in the background will start filling out. On the negative side it appears I have a resident mole that has moved into my most recently planted flowerbed. He's undermined a lot of the plants I've just put in so yesterday I spent quite a lot of time stamping the soil back down. Hopefully if I annoy him enough he might get fed up and move on!